My Tribe is rated 4.6 out of 5 by 75. Rated 5 out of 5 by greatgramma53 from My favorite game for 10 years! Love this game on my PC. Have played numerous times. Want to have it on my tablet! Years of fun and relaxing game play. Rated 5 out of 5 by ewiczkah from Love it! 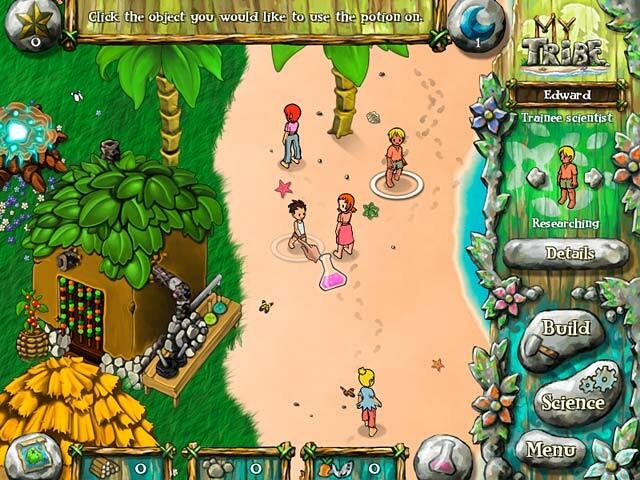 I love this game for years :) If you like virtual villagers this is for you! Rated 5 out of 5 by two_crows from A few hints First of all, this is a great game and, if you like complicated story lines, will bring you hours of fun. The rules aren't difficult to learn and, aamof, there are walk-through's available around the web so you can get hints if you want to. That said, I want to address one point that someone mentioned in the reviews that, he said, led him to give it 2 stars: When you leave the game, the characters continue doing what they do -- so, when you return, they've made progress. But, if you plan to be gone for a long time, you could return to find everyone dead. The people do age and die over time, after all. But there's a way around that problem: Click on menu / settings and you can set the pace of the game. Coming back later today? Set it on the "fast" setting and, when you return, the characters will have accomplished a great deal. Set it on "pause" and no time will have passed. There are 4 settings altogether. In any case, there's no need to give up on the game if real life gets in your way. I just thought I would mention it as it was a complaint made by another commenter and, since the problem doesn't actually exist, I didn't want it to deter others from trying the game. Rated 5 out of 5 by ladyluvnay from Fun for the whole family. Such a great game still! I've been playing this for years and it is still a fun game to play. My daughter (teenager) enjoys it, I enjoy it, and even my husband enjoys it! I'll never give up this game as long as it still plays on my computer. 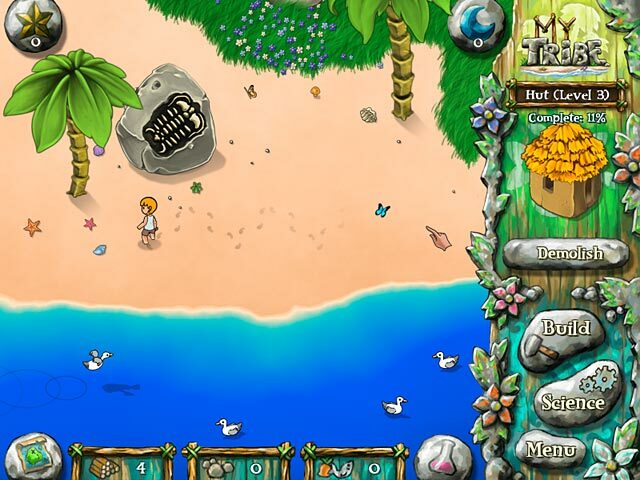 Rated 5 out of 5 by Kern121555 from Love This Game Quiet, fun, lets me be the invisible queen of my own little island. Rated 5 out of 5 by esmeraldaer from Still good in 2016. 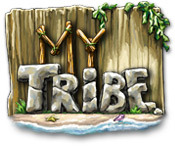 If you're wondering whether or not this game has stood the test of time, wonder no more, on the brink of 2017 My Tribe remains as fun and engaging as it ever has been. 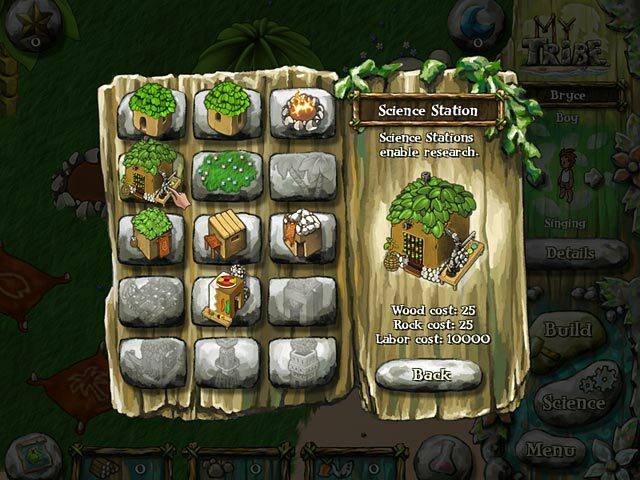 Control the tasks your tribe members undertake while increasing the tribe's numbers as you go along. You can name your tribe members and change their clothes to more easily identify them, and once you've unlocked certain potions you can also alter their skin/hair color. This is the kind of game where you can check it once or twice a day for twenty minutes - your tribe will keep working while you're logged out, so don't forget to check in with them later! Rated 5 out of 5 by KennaShann from I Can't Turn It Off!! Not a time management game per se, but since you have to think about the future of your tribe, you have think ahead when it comes to who you want to bear the next generation. Tribe members need to practice gathering resources to house, feed, and educate themselves. The more they work, the better at it they get. Collect falling gifts from the sky, crates floating by on the tide, harvest mushrooms and find someone to pick up seabird guano! Name your tribe members and put them to work! Rated 5 out of 5 by randle from Way better than Virtual Villagers! I love this game. It's relaxing, but also challenging. You can rename your people, make new clothes with custom colors, and collect moondust and stardust to help your tribe along. It's also pretty fast-paced in that you can tell them to build a building, set the time speed to fast, and come back a few hours later to find it done.It offers more creativity than VV and a lot better graphics. My only complaint is that if you run out of wood they'll starve, and you have to check each individual tree for harvest. it's simple enough for 8- or 10-year-olds but also complex enough that adults can enjoy it.